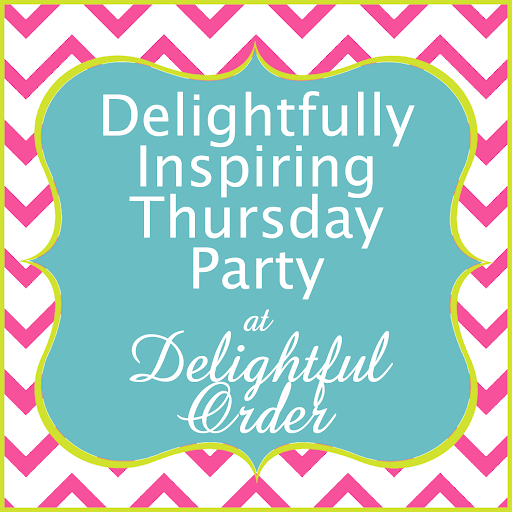 Welcome to the Delightfully Inspiring Thursday Party! I love reading your blog!! Thank you so much for the fabulous weekly parties! Also, I am so sorry, but I accidentally put the same picture for two of my posts!!! Yikes! Please delete number 80!! I'm sorry! I always enjoy linking up here. I found some great resources! Thanks for hosting. Hope to see you at True Aim. Thank you so much for the party! Have a great week! Thank you so much for hosting! P.S. Your backyard looks awesome! Thanks for hosting such a fabulous party! So many great link-ups already. Thanks for hosting again. Hope you're having a great summer. Hello DaNita: Thank you for hosting the party today--it's my first time participating. Loving all the pretty projects that people have linked up! Hi DaNita, I came upon your blog by accident and glad I did, I am a new follower of GFC, Twitter, and FB. I have also shared your Thursday Party in a blog post on Oh! My Heartsie. Hope you have a great weekend and thank you for having such a fun linky.